When we talk about tax, what is it that comes to your mind? Do you really understand it well? Tax is the amount deducted by government from an individual’s salary to finance the services that it provides to the public in the form of transport, roads, hospitals, parks, etc. All this money though is used to help the public itself, still for people it is like carrying a load which they don’t at all wish to. To find a middle way, government provides tax deductions on investments, made in certain plans mentioned under Sector 80C of the Income Tax Act, 1961 which is its indirect way to earn tax by investing further the money received, but is acceptable by people. Among the many plans that assist you in getting the tax deductions, one is ELSS or Equity Linked Savings Scheme which is a category under which many mutual fund schemes are launched by different assets management companies. Reliance Mutual Fund is one of the many AMCs that have launched a scheme under this category. In the form of Reliance Tax Saver Fund (launched on September 21st, 2005) came a relief for investors who are fond of this fund house and had been waiting for a chance to earn growth on the surplus savings and save tax at the same time. Since it comes under the tax saving scheme, there is a minimum lock-in period requirement which should be fulfilled in the form of three years, non-compliance of which will exclude you from any such benefit. It invests mainly in the equity and equity-related instruments of companies across sectors.Currently, this fund is in the capable hands of Mr. Ashwani Kumar who has been handling the investments since August 2005. Reliance Tax Saver Fund NAV as on July 27th, 2018 was Rs. 56.2918. You may start investing in this scheme both through online and offline mode with a minimum investment amount of Rs. 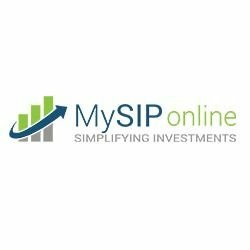 500 without worrying about any entry load or exit load via MySIPonline which is a leading platform that helps you in investing in a simple way. But before making the investment decision you should know about the way in which it has allocated the assets and its performance, which is as follows. The assets under management as on June 30th, 2018 was Rs. 9545 crores out of which investment made in equity is 97.49%. It has invested in equity across different caps such as giant-cap, large-cap, mid-cap, and small-cap with the investment percentage being 22.75, 29.65, 32.26, and 15.33, respectively. It has invested 22.68% in Financial sector, 20.19% in Automobile, 17.28% in Engineering, 10.92% in Metals and so on. The top five companies in which it has invested majorly are State Bank of India, Tata Steel, TVS Motor Co., Tata Motors, and Honeywell Automation. It outperformed its benchmark NIFTY 100 TRI and has provided superb five year returns as 21.67% as on July 26th, 2018. Experts at MySIPonline believe that only those investors should invest in Reliance Tax Saver Fund who can digest moderately high risk on the principal amount invested.